2.We are a factory manufacturing apparel , best production capability ,best quality control, Best Service . Our company was located in the shirt hometown dachen town, yiwu, zhejiang, China. There are more than 300 staff members and 5 advanced production lines in our company with a daily output of 6,000 pieces of shirt. 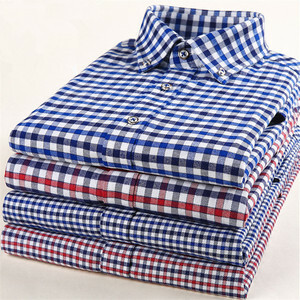 Product name new trendy style long sleeve brand contrast collar&sleeve cuff&placket flannel checked dress shirts for men Gender men,gentlemen,boy Occasion formal occasion LOGO Your logo can be printed or embroidered on it Collar Technics/design spread collar,other collar like :square collar,lay-down collar,pointed collar,button-down collar,etc are possible. 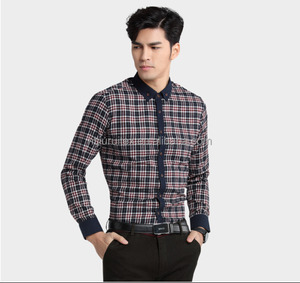 FIT slim fit,tailored fit,medium fit,trendy fit are all welcomed Material/fabric 100% cotton yarn dye flannel fabric Notice Above prices only are for reference , Please contact us directly for more prices. Washing 1.Don't bleach 2.Low Iron if needed 3.Don't not tumble dry 4.Hand wash best Payment T/T,L/C,Escrow,West Union,paypal,Etc 30%advanced,70%balance before shipping Shipping By sea, by air, by DHL/UPS/TNT etc. post sf-express air shipping sea shipping . ---logo brand fabric special design size customized for everyone of you. we can design and manufacture products as your requirements or your samples,any questions don't hesitate to contact us. Moreover, the principle we always maintain is "to provide customers with better quality, better price and better service". ) 2, Color and pattern design 3, Package require 4, Quantities 5, Please send us some pictures and designs for refer to ensure we can do best as your request. But if we have stock or making digital printing, we can sell even one meter. 6. 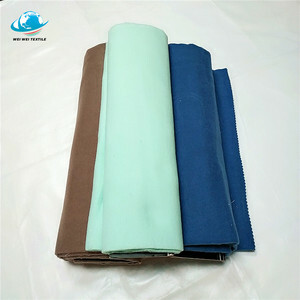 Q: DELIVERY TIME9 A: 1.For dyed fabric: about 10-15 days after confirm the lab-dips. 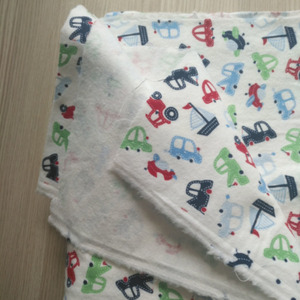 2.For printed fabric: about 15-20days after confirm the S/O sample. 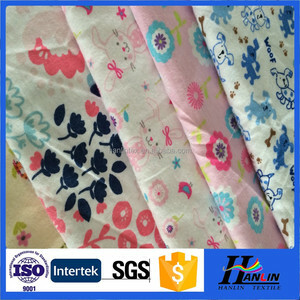 100%Cotton Flannel With Print Design Fabric 44/45"
Alibaba.com offers 15,312 dress flannel products. About 59% of these are flannel fabric, 53% are 100% cotton fabric, and 24% are bag fabric. A wide variety of dress flannel options are available to you, such as bedding, bag, and garment. You can also choose from tear-resistant, shrink-resistant, and anti-static. 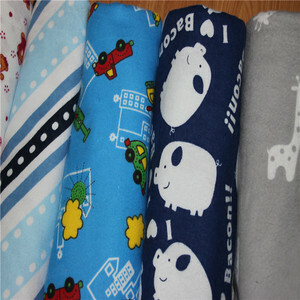 As well as from 100% polyester, 100% cotton, and linen / cotton. And whether dress flannel is woven, knitted, or beaded. 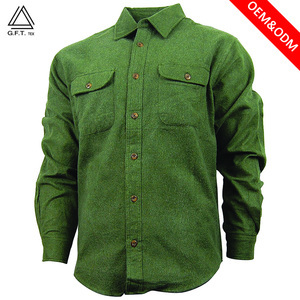 There are 15,312 dress flannel suppliers, mainly located in Asia. 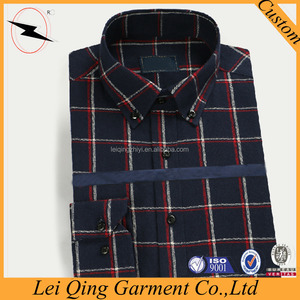 The top supplying country is China (Mainland), which supply 100% of dress flannel respectively. 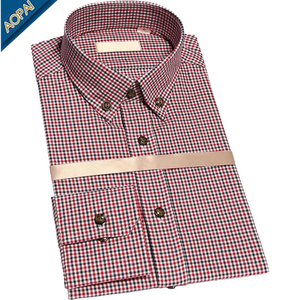 Dress flannel products are most popular in North America, Mid East, and Eastern Asia. You can ensure product safety by selecting from certified suppliers, including 1,543 with Other, 643 with ISO9001, and 416 with BSCI certification.